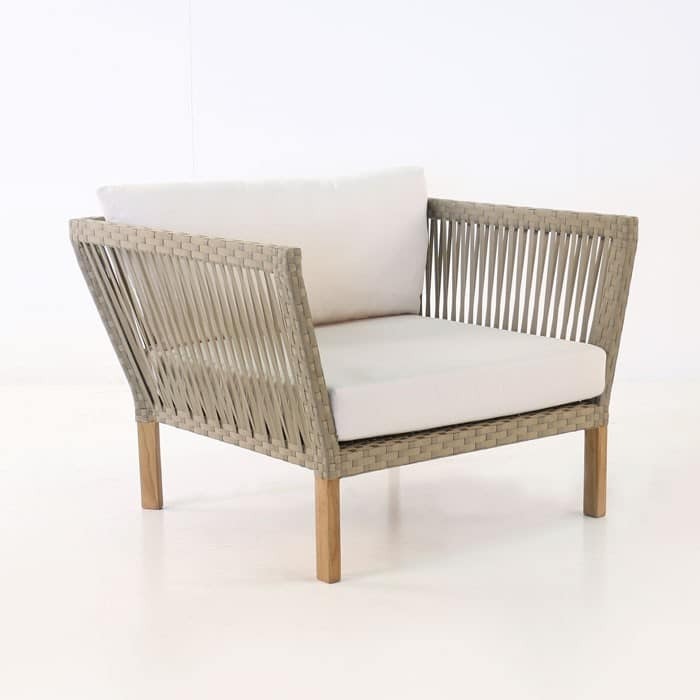 Enjoy days by the garden and nights under the stars in this stylish, unique and comfortable club chair. This chair is oversized for maximum relaxation, but has clean lines and Sunbrella® strapping so that it doesn’t look bulky or clunky. Shown with Canvas cushions; also available in Spectrum Dove, Taupe, Coal, & Black. This amazing style and look is accomplished with an A-Grade teak frame and legs that is wrapping with Sunbrella® strapping. 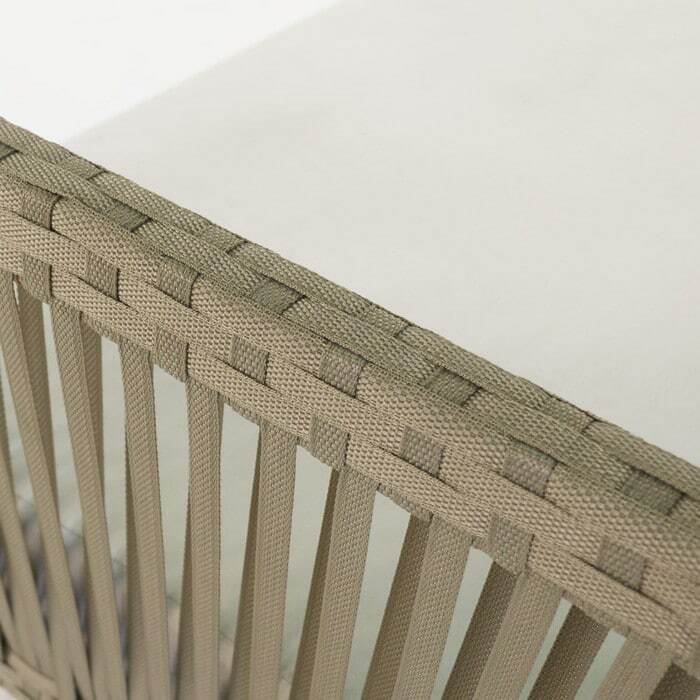 The strapping is expertly woven around the frame for a stunning airy look. 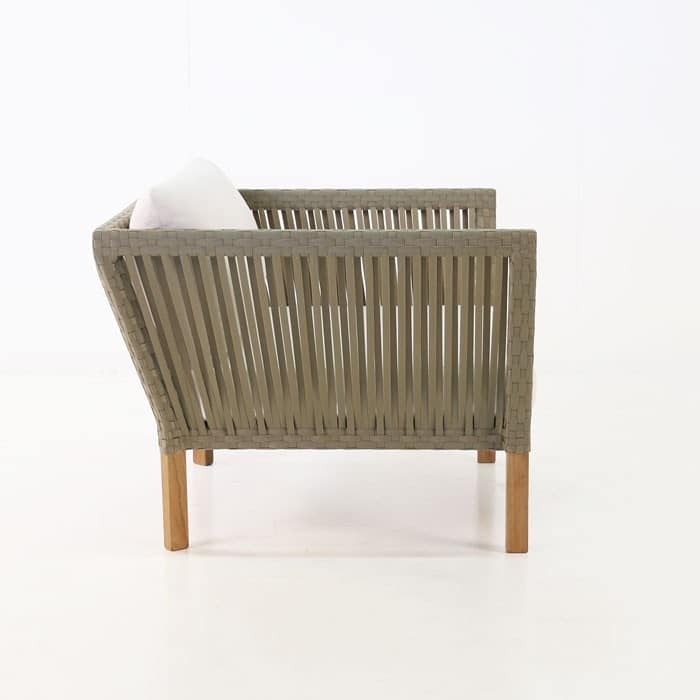 Both of these materials make this chair extremely durable, but light enough to move and arrange in your outdoor space. The canvas Sunbrella® cushions offer plush comfort and a smooth tidy appearance. Get the look you want for your outdoor space by pairing this chair with the other options in this collection. 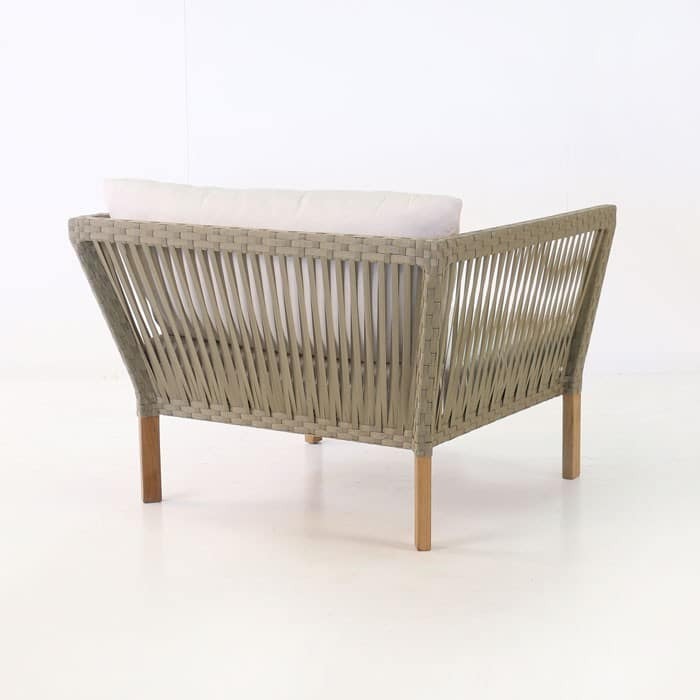 Create your space with the left and right arm daybed, corner chair, centre chair and ottoman. You must experience this chair! It will remind you to enjoy the outdoors and take time out of your busy schedule for yourself. Give us a ring today and we will be happy to help you.